The program specifies that patients under the age of 2 must receive 24 inoculations for the doctor to receive the $400 per-patient payout. Notice the list includes the flu vaccine, even though evidence suggests that the flu vaccine actually weakens the immune system long-term. 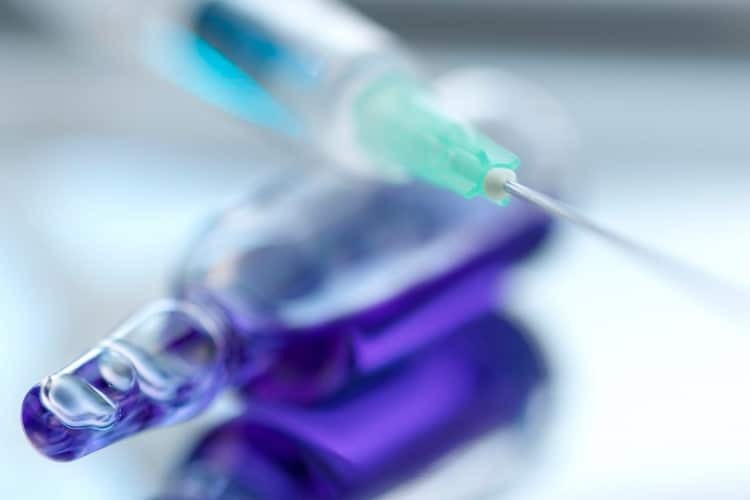 Furthermore, during the 2012-2013 flu season, the flu vaccine’s effectiveness was found to be just 56 percent across all age groups reviewed by the CDC. 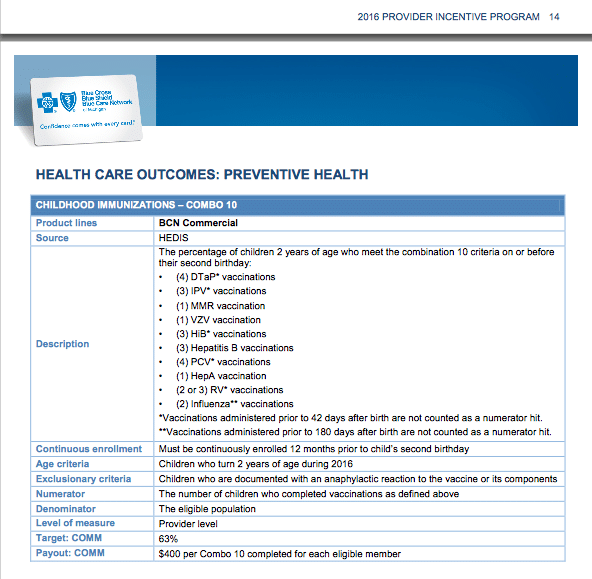 The booklet shows that payouts aren’t available just for vaccines. Doctors receive bonuses for making sure that patients “adhere to their prescribed drug therapy.” This falls under BCBS category of “disease management” and includes statins, drugs for hypertension, and oral diabetes medications. Doctors also receive bonuses for helping patients manage depression…but only if they do so using drugs. These types of practices by the medical establishment give rise to many questions. First, are doctors more concerned about earning their bonus than about children’s health? That would explain why so many doctors are no longer taking families that do not vaccinate. Further, do doctors even care if the one-size-fits-all approach to vaccination is safe? Finally, if doctors receive payouts for disease management, then why would they want to cure their patients? This approach definitely illustrates the biggest problem of our medical establishment. Let’s face it, the establishment is creating long-term customers instead of curing patients. This article (Proof Surfaces Insurance Co Pays Massive Bonuses to Doctors for Vac…) was originally created and published by Waking Times and is published here under a Creative Commons license with attribution to Alex Pietrowski and WakingTimes.com. It may be re-posted freely with proper attribution, author bio, and this copyright statement.